According to a recent article by The Boston Herald, a man from Roxbury was arrested after he allegedly crashed his BMW sport utility vehicle (SUV) into the rear of a Massachusetts State Police (MSP) cruiser that was parked on the side of the road. MSP has said that this driver was one of about a dozen other drunk drivers arrested over the Thanksgiving weekend. There was a trooper in the parked MSP cruiser who apparently suffered back and neck injuries as result of the crash. Those injuries were not considered life-threatening. When troopers approached the man’s vehicle following the crash, they immediately became suspicious that he was operating his motor vehicle under the influence of alcohol (OUI) and began to investigate further. The driver allegedly told troopers that he was having trouble changing lanes and that was the reason he “skidded” into the parked state police cruiser. He then allegedly told troopers that he was traveling around 60 miles per hour. When he spoke, troopers say he had a strong odor of an alcoholic beverage coming from his breath. 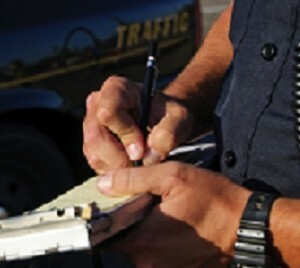 While it may seem strange to hear the term “alcoholic beverage” instead of odor of alcohol coming from the suspect’s breath, a well trained officer will know that ethanol (drinking alcohol) is a colorless and odorless liquid so what troopers are smelling is the congeners present in the alcoholic beverage and not the alcohol itself. In other words, you can smell what makes a glass of scotch, scotch, but not the alcohol present in that drink. The officers then saw that his eyes were allegedly red and glassy and asked if he would take a breath alcohol test. This test allegedly revealed a breath alcohol concentration (BAC) of 0.16 grams of ethanol per hundred milliliters of blood, or twice the legal limit of 0.08. As our Boston drunk driving accident attorneys are aware, the BAC number is not based upon some random factors. Mothers Against Drunk Driving (MADD) worked closely with the National Highway Traffic Safety Administration (NHTSA) to determine how people react at various levels of alcohol consumption. While many are still arguing for it be lower, a BAC level of 0.08, a person cannot safely drive a car because they will have a slowed reaction time, poor decision making ability, motor control problems, and vision problems. These problems will be far more substantial when a person has a BAC of twice the legal limit. In this case, the trooper was rushed to Boston Medial Center for treatment for his injuries. The suspect was placed under arrest, and a bail commissioner ordered him to be held on $5,000 bail. He is scheduled to be arraigned in the Boston Municipal Court (BMC), which is one of the main trial courts for Suffolk County. It is important to note that, while he has been accused of drunk driving following an accident and other related charges and moving violations, he is presumed innocent unless and until he is found guilty in a court of law by a judge or jury beyond a reasonable doubt.